News broke yesterday that Microsoft retired its annual Convergence conference and replaced it with Microsoft Envision, an event providing business leaders with the latest ideas, trends and innovations to help them, their teams, and their business achieve more. 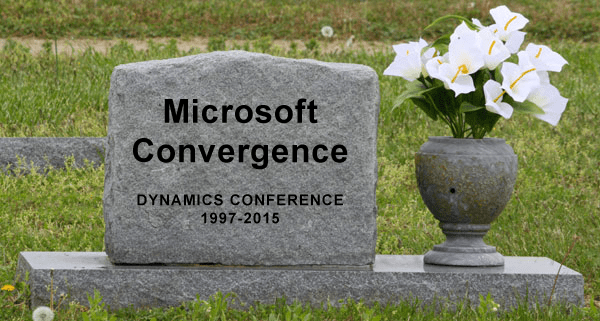 This announcement isn't terribly surprising to the Microsoft Dynamics' partner community as rumblings of changes were heard throughout the expo floor at Convergence 2015. What was once a Dynamics user event, has now morphed into a broader Microsoft product line event for decision makers and leaders. Microsoft Convergence began in Orlando in 1997 with roughly 100 people in attendance and grew steadily into a 12,000 customer/partner event. Today, with hundreds of Dynamics' SIs and ISVs exhibiting, I'm curious to hear how the partner community is reacting to this announcement!?! The birth of Envision is the next step in an evolution combining Microsoft Business applications and Dynamics solutions for business leaders looking to technology to drive digital transformation. Axonom will exhibit at the Microsoft Envision conference in New Orleans on April 4th - 5th, 2016. Please visit booth 1108 in the expo hall for information and demonstrations on our Powertrak CPQ suite of products, highlighted by Visual 2D and 3D Product Configurator for Microsoft Dynamics. Which event is appropriate for you? Microsoft Envision is for business leaders whereas Microsoft Ignite is for technical professionals. Microsoft Envision is focused to providing business leaders and decision makers with ideas and real-world solutions that can move their business forward. Hear from visionary leaders on the latest trends, disruptive technologies, and gain new perspectives for making smart decisions about the future business. Business trends and themes - including Internet of Things (IoT), big data and analytics, cybersecurity, productivity, mobility, and more. Industry trends - including Manufacturing, Retail, Financial Services, Public Sector, Consumer Packaged Goods, Hospitality and Travel, Professional Services, and more. Leadership growth in key business roles - including sales, operations, IT, marketing, finance, customer service, and more. For those looking for deeper technical content, Microsoft Ignite will provide an opportunity to discover best practices, get hands-on experience to enhance their tech skills, and learn from hundreds of experts and peers.